TS: You're listening to Insights at the Edge. Today, my guest is Michael Singer. 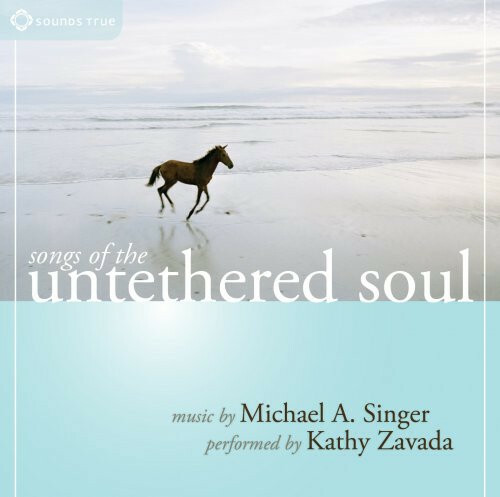 Michael Singer is the author of the number one New York Times bestseller The Untethered Soul and The Surrender Experiment. In 1971, while pursuing his doctoral work in economics, Michael experienced a deep inner awakening and went into seclusion to focus on yoga and meditation. In 1975, he founded the Temple of the Universe, a yoga and meditation center where people of any religion or set of beliefs can come together to experience inner peace. Through the years, Michael has made major contributions in the areas of business, the arts, education, healthcare, and environmental protection. 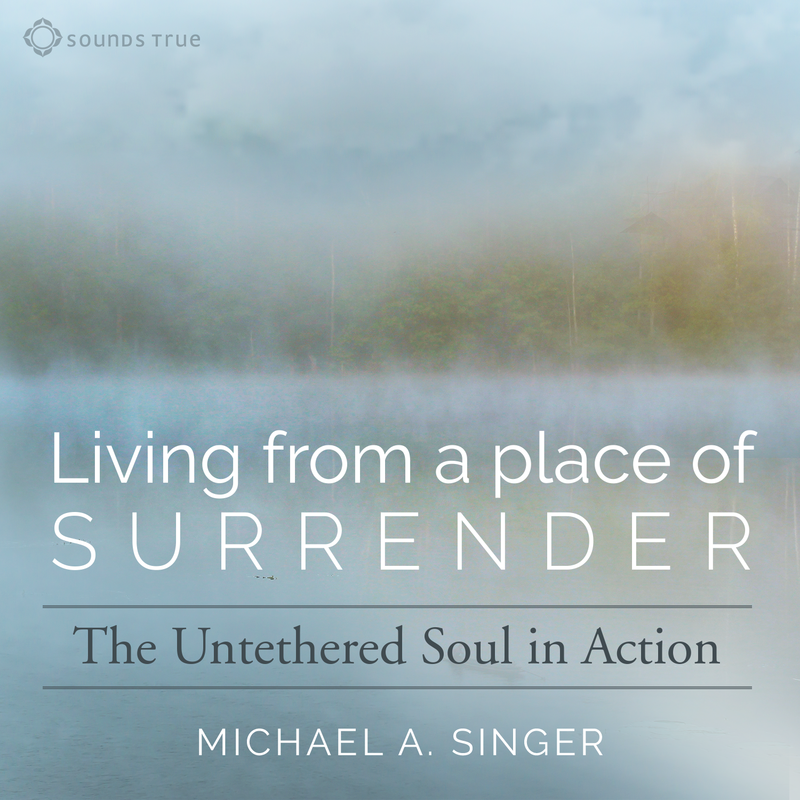 With Sounds True, Michael Singer has created a new eight-week online course called Living from a Place of Surrender: the Untethered Soul in Action. This eight-week online course becomes available October 30th of this year and you can visit SoundsTrue.com for more information. Michael, you've written a book called The Surrender Experiment and now with Sounds True have created a new eight-week online course, Living from a Place of Surrender, and where I'd love to start is for you to describe to our listeners what it means to you to live from a place of surrender. MS: Very good. Like with most spiritual topics, they get very deep, but let's see how simple we can keep it. If we pay attention, we will realize that every moment around us, there is a world that we did not create that's been there for 13.8 billion years, and there's trillions of cells in your body that are doing what they're supposed to do, and all of nature, everything. You wake up and you realize, "I'm not doing any of this. I didn't make my body. I didn't make my mind think. I don't make my heart beat. I don't make my breath breathe, etc, etc, yet I have this notion that I have to make things happen. Yet, all throughout the universe, things are happening everywhere and I'm not doing them, so why exactly am I the one that's in charge of what's unfolding in front of me?" What you realize at some point is that you're not; that the moment in front of you that's unfolding is no different than all the zillions of other moments that aren't in front of you that are unfolding in accordance to the laws of nature, the laws of creation. You start to practice saying, "I don't want to check inside of me first to see what I want and what I don't want. I want to pay attention to what the universe is creating in front of me just like it's creating everywhere were I'm not, and let me see how I can participate in that, be part of that instead of interfering with it with my desires and my fears." That's living from a place of surrender. TS: I want to ask you some questions about the practical application of that viewpoint. I noticed when I was reading The Surrender Experiment, the question that kept coming up for me is so many people, as representatives of the universe and the moment want something from you, I imagine. I know in my own life, lots of people seem to want things from me and if I just surrendered and said, "I surrender to your request to do this or that," I would be so overbooked. Don't I have to check in and say, "Hmm, does this work for me? Does it not work for me?" MS: That's a beautiful question. Of course, I expect you to be deep and you are. It has nothing to do with that. It's a whole paradigm shift. It's not a question that as the universe unfolds in front of you, including people—like if a lion jumps at you, do I just surrender and let him eat me? That's not what it's saying. What it's saying is you check outside first. You look with a place of clarity, and what clarity means that I'm not being disturbed by my psyche, by the impressions that got left on me, personal things based on my past experiences. So I look outside and I see a lion is jumping at me. Well, obviously, I have an obligation to serve my body, all right? I'm the center of will. I'm going to do every single thing I can, just like anybody else, to protect my body. If 15 people come up to me and they start demanding things of me, because they are coming from their places of needs and desires, I am not going to look inside and look at the part of me that's freaking out and say, "I don't want to do this. Oh my god, this is uncomfortable. There's too many people," because that's doesn't know what it's talking about. It's just a bunch of noise. I'm going to look outside and see, what is the path of right action? What is the path through this that respects everybody and respects the reality of time? The whole point is, is it's not that you're not interacting with what's happening; it's that you're not interacting based upon your own preferences, your own desires and your own fears. You're still interacting; you will make much better decisions because eventually that your desires and your fears, every single one of them are impressions left from the past. Whatever's happening now reminds you of something that wasn't comfortable or reminds you of something that was comfortable and so you're really making decisions now that are out of harmony with what's happening. They're just in harmony with the past experiences you had, which have nothing to do with right action or good decisions. This idea of letting go of yourself first and then listening, seeing ,and interacting in the highest possible way with the universe that's unfolding in front of you doesn't mean you're saying yes to every single thing or no to every single thing that people are telling you. You're listening to it with a deeper place inside of you than your personal desires and fears. TS: Now, in talking about how we have each been conditioned by what's happened to us in the past, in the online course, Living from a Place of Surrender, you talk about this predicament that we're each in and you talk about these samskaras, which is a term from yoga philosophy, and I wanted to talk about this and your understanding of samskaras, but even more importantly, how do we release ourself from the conditioning of our past? MS: That's a beautiful question and that's really what the course is all about, really is samskaras is just a Sanskrit word. It's used in the yoga word, because that's what's been used for thousands of years. It just basically means when an event happens to you and you either really, really don't like it or you really, really do like it, you don't let it go. If you don't like it, you push it away because you don't want to experience it and that is typical psychology—suppression, repression, resistance. Call it what you want. You just push it because you don't want it coming so close to you and when you do that, it stays inside of you, because you didn't let it go. Likewise, when things happen to you that you really, really like, you don't want to let them go, so you do what Buddhists call clinging. You cling to them. You hold onto them inside so you can feel them again, experience them again in your mind and so on. Those are what samskaras are, these pieces that you've held inside of you from your past. And what happens is they keep coming back up and they keep interfering with your ability to see what's happening now because they get stimulated by—they react, if you will, to the moments that are unfolding in front of you. And the next thing you know, you're not experiencing what's happening in front of you, you're experiencing your reaction to what's happening in front of you. Eventually, you will find that this is quite disturbing, and it keeps you from living a full life and from fully experiencing life. The question of how to let them go, it turns out is very simple. Doesn't mean it's easy, but it's simple. They will come up periodically on their own, and what you'll find is that you'll have an opportunity to either push them back down, cling to them, keep them, or to let them pass through. It's that simple, but nobody will do it and that's why we have all these techniques. All the techniques, everything, meditation, mantra, this, that, everything, are all about since you're not willing to just let it go when it comes up, let's develop some practices that keep you busy, that help you focus on something else, etc, etc, so that these things have room to come up. But when it's all said and done, you need to let this stuff go. Whatever works for you, but you need to understand that if you want a full life, you can't be running around running after these reactions that were left in there from the past. That is the essence of what the course teaches is how to do that—how to use every moment of your life to let go of the garbage you've collected inside of you. TS: Michael, I wonder, to make it concrete for our listeners, would you be willing to give an example from your own life when you saw something coming up and you thought, "Oh, this is clearly some conditioning from my past and here's a chance to let go of it"? MS: I will. I talk about this in The Surrender Experiment. I talk about very powerful moments in my life where my conditioning for the moment was resisting what was going on, but I had made a pledge to myself that I was not going to let that ruin my life. I tell the story that I had moved out to the woods to meditate. I'll make it very spiritual, moved out to the woods to meditate and I was doing very, very intense practices in solitude, etc. etc. But I still was on my doctoral program in economics at the University of Florida and I was on fellowship, so I was teaching a class three times a week. I'd go in and instead of this intense solitude, I'd be in the class. One day, the chairman of the department came up to me and said that I had been asked to tutor the president of a local community college through his doctorate by the governor of the state of Florida. I had no contact with these people, but I was a top student and so they looked at my record and said, "This guy, you can help him through. He can ride on your coat tails." There was nothing inside of me that wanted to do this. I just wanted to get back out to the woods and meditate. My mind was driving me crazy. It was saying, "I'm not going to do this." I took one look at this and just saw, I don't want that noise running my life. I have no idea what this is about. It doesn't fit what I want, I'll say that right now, doesn't fit my concept of where I think I'm going, but it is unfolding in front of me. And I ended up saying yes to that and it set a direction in my life that literally, by the time it's all said and done, led me to doing this class 40 years later, right? Just was like getting on a magic carpet, following the flow of life instead of following the noise inside my head. So there is a practical example, but it was not easy, because I'd committed myself. I was going to do, be in solitude and never come out until I'm enlightened, whatever that is, and basically this brought me back into the balance of—it taught me service as a way of life, as opposed to my concept at that time that if I meditate enough, that's all my life is going to be about. TS: Let's say someone's listening right now, Michael, and they're working with some kind of decision. Should they go left or right? Some people have said, "I think you should go left," and they have a voice inside that says, "I'm not sure about that." How did they sort out what's really of the most service, what life really wants? MS: As I said, you ask very deep questions. The question of decisions is very deep and people, when you're talking about surrender, always go to that: "But I have a decision to make." Don't I have to make decisions? What I teach on that and it's, of course, it's—the answer is always go deeper. Instead of looking at the decision you're trying to make, ask yourself why—what are you trying to get from this decision? What's your motive? What you're going to find out is every single time it is either I'm trying to make a decision that will make me feel better, make me happier in the future, let me achieve a better state inside myself where I'm more content and more excited, more enthused, feel higher, etc; or I'm trying to make a decision that will save me from having to experience something that I don't want to experience. Well, which way can I choose this so it's a path of least resistance? You find that the motive behind your decision as opposed to getting all involved in the decision, you step back and say, "What am I trying to achieve? You're going to see that it's either a desire or a fear. You're trying to achieve a desire by moving to New York or moving to California, which won't work for me, right? Trying to make your mind be psychic to figure out which one will make you happier versus I'm trying to avoid a situation that I don't want. Then you take a look at that and you realize, "What I'm really trying to decide is how to be happy inside, how to be in a better state inside myself. Why don't I say that honestly? It's not really about this decision. It's about how can I find a more beautiful state inside myself." That's where it leads to yoga. Everything leads to spirituality. The state you're looking for is inside yourself. What in the world's it got to do with where you live or what your job is or who you marry? It's got to do with how you're doing inside yourself. Why don't you work on that a little bit instead of trying to put the burden on your mind of thinking that some decision you're going to make down the road is going to decide the quality of your life? The truth of the matter is the state of your being is going to determine the quality of your life. If you're whole, if you're complete, if you're enthused, if you're filled with love, it doesn't matter which place you live in. You're going to be wonderful. And if you're disturbed inside, it's not California or New York that's going to make the difference. It does for a short period of time, because it's new and therefore you're more open to it. So you step back behind the decision you look to see where you're coming from and at some point, if you come deep enough at looking at that, you'll realize, "I have put a burden on my mind of saying this is going to determine the quality of my life." It's not true. You're going to determine the quality of your life. At least come back to that center, that deep center inside that undercuts all of this. Then you're going to find out that you don't put the pressure on yourself with that decision and often, it will unfold naturally. Doesn't mean you don't make a decision, not indecision, but you'll find that if you get rid of the noise inside of you, you'll be able to see more clearly what is actually happening and what is maybe a better way to serve, a better way to balance the energies as opposed to, "How can I make myself happy with this decision or how can avoid my fears with this decision?" Does that make sense to you? TS: It does and you've used this word "serve" a couple of times and I want to check something out with you. It seems like part of how you discern what's needed in a situation, and correct me if I'm wrong here, is what will be of the most service. Is that correct? MS: That's very beautiful. Honestly, I don't think like that. What happens is it's not a thought. What happens is, if you've worked enough on yourself, you don't need anything. You're not looking for anything. It's just sort of like the joy of interacting with life is what feeds you, so you don't have preferences like that. At least, they're not running your life, OK? When you find yourself in a situation where you're not trying to get something from the situation, the very natural thing is if anything there is calling to you for support, for help, for whatever, since you're not fighting with it because you're trying to get something from it, you will find that you naturally interact with it in a way that maybe others call service, but you didn't see it that way. It's just, you're not getting something for yourself, you're not busy trying to take something from the situation for yourself—from people, places, things, because you don't need anything. It's not that you're suppressing or renouncing. It's just that you've done enough work on yourself to where you're being feed from inside, so then you come into that moment and you're going to find out that every single thing you do is to serve, is to help others. As somebody once said to me, that the way to live your life, the highest life you can live is that every single moment that unfolds in front of you is better off because it did. [audio cuts out] do than that, all right? If you want to call that service, we can call that service, but you know as well as I do, service means a lot of different things to different people, right? The purest, in the sense that you're not giving anything, because you really don't need anything. So once you stop taking, you become a giver. It just happens very naturally. TS: What's interesting to me too is that you took my question about service and you were like, "It's not conceptual like that. It's not some conceptual, analytical place." This is one of the things I wanted to talk you about, Michael, because you're a very, very creative and prolific person, not only having written these two bestselling books that people are familiar with, but you were the CEO of a billion-dollar public company and other accomplishments, a very accomplished person. How do you sort out in yourself and separate the creative flow inside of you that wants to make things from that voice inside your head that has all kinds of ideas about things? How do you separate those two? MS: You've got such beautiful questions and I know you're very deep, so I can answer you at the deepest level. I don't separate them at all. There's no duality in any way, shape or form. I find that it's always coming from the same place. If you are willing to let go of your personal self—it doesn't mean it's gone. Believe me, all right? But you're not listening to it and if it makes noise, you let it go and if it's not making noise, it just kind of hangs out there, all right? There's nothing about you that is making decisions or doing anything based on that. Then where you're sitting is you're closer to the self. You're sitting closer to the core of your being and that is where all creativity comes from. Creativity doesn't come from the mind. Creativity pours into the mind and then the mind analyzes it and so on. Creativity comes from the self. It comes from the deepest part of your being, from your center. If you're sitting in that place and letting go of the noise inside of you that would pull you out of that place—I don't care if you're doing business, if you're doing relationship, you're doing meditation, you're doing nonprofit service, they're all exactly the same—every single moment you're coming from the exact same place, which is I'm not listening to my personal self. You're letting that go and then what's left is this inspiration. It's both inspiration and creativity. It's this fount of inspiration and creativity that's always flowing inside of you and it connects with what's unfolding outside. It knows exactly. It's almost as if they're coming from the same place. I always feel that that's what Lao Tzu meant by the Tao, that there's a way in which the unfolding of the world in front of you and what is going on at the depth of your being are coming from the same place and they are really the same thing. And you just surrender to that and you allow this fount of beautiful, creative, inspiring energy to interact with the beauty—no matter how ugly it is, with the beauty that creation exists in front of you. So I don't make the distinction. It's not a matter of balancing them. They're one. TS: It sounds like this creative font in you uses your mental processes, and that's, of course fine, but there's a different feeling as it expresses itself than this voice inside the head that you referred to that you're not listening to? MS: That's beautiful. The mind is like a computer. It can be used to do anything. Normal people—all right, which we don't all want to be normal, by the way—normal people, the mind is almost always talking on its own to express what's wrong with them. "I want this to happen. Why did I do that? I wish I didn't do that." The whole id, ego, superego stuff that Freud separated out is just the mind talking about different things, all right? There's just that mental dialogue being broken into this type of dialogue, that type of dialogue, and that type of dialogue. When you are not listening to that, when you have let that go to whatever degree—the great masters have transcended it completely, but we're all at different stages—but to the extent that you have let that go, then your mind is not making that noise. And all of the sudden, it becomes clearer. I don't want to say clear, because that's a very high state, but clearer and when it's clearer, then the lower part of your being is not having to use the mind all the time to release the energies you've stored inside. All of the sudden, the mind becomes a tool that you get to use, your higher self gets to use; and all of the sudden, it's open enough to where the inspiration and the creativity that's pouring from the depth of your being pours into the mind, and the logic that the mind has the ability to do, the analytical processes takes the creativity, the ideas that have poured in and turn them into things that can manifest on the physical plane. So you have a dream of helping this, that and the other thing, whatever it is, but you need to schedule things. That's not coming from "What I want, what I don't want, oh my god, I did it wrong before, so I'm afraid to do it again or this is"—right? Instead, there's just this creativity falling into the mind, and you will find that the mind is very lucid and very fluid, and all of the sudden it's coming up with analytical answers that are more concrete so that they can be brought down to the physical plane. The mind is a tremendous tool, but the problem is our mind is being used by our samskaras. It's being used by the suppressed and lower parts of our being that need to release so they're filling the mind with all this personal noise. TS: Now, what does it feel like, Michael, on the inside, when you're in a place of lucidity like that, at that type of clarity that you're describing? MS: It feels like the rush of holy waters. It feels like, "Man does not live by bread alone, but by every word that leaveth the mouth of the Father." It feels like there's this upward rush, constant upward rush of energy, of Shakti, of chi that's feeding all of your center and flowing up, up to the higher centers. And as it goes up, it purifies and cleanses and feeds so that you feel a state of elation, a state of total well-being, and then all of the different faculties of your being can work properly. Your body can be in health. Your mind can be sharp and clear. Your heart can be open and filled with love, and the higher parts of your being can be guiding all of that. TS: You know, you use in your book, The Surrender Experiment, this phrase, "the upward flow," and you referred to it here. I'm curious, do you do certain yoga practices to help that upward flow when you don't feel it or is it not like that for you? MS: I don't generally talk about my particular practices, because they're so personal that it doesn't necessarily help anybody else, all right? There are lots of practices and I support all of them. If they're helping you and you're doing them, right? There's pranayama and there's mantra and there's new agey practice, putting things on your head and electrodes and all kinds of lights and this and that. Anything that you are willfully using to help raise your consciousness above this personal noise is beneficial and what it will do is it will train you to get in the habit of not listening to the lower self, but paying more attention to the flow that's inside of you. Of course, all of yoga, all of yoga is about this upward flow. It is all about cleansing the chakras, cleansing those centers and allowing the suppressed or blocked energy to flow freely up, and that's what it will do. We all experience it; like when you fall in love, there's this upward flow of energy. You feel it pouring into your heart. You feel it. Your mind gets quiet and excited, all right? The problem is it required an external situation to match your patterns inside your mind so that you were willing to open enough to allow these energies to flow. That's called conditional well-being. What we're talking about is if you will let go of these blockages that you stored inside of you then things don't have to match them for you to open. All of the sudden, the rain is beautiful, the sun is beautiful, the cold is beautiful, the storm is beautiful—everything is beautiful because you're not blocked to it, it all has its beauty. And when you do that, then the energy is free to flow. To me, that's the highest technique and that is the technique I teach—the technique of life, of using life to use that you're closed to certain things and also that you're open to certain things that can help you see how beautiful you can be, that somebody comes up and says something nice to you and you feel great for the rest of the day. Well, why didn't you feel great to start with? Because you were closed, so why were you closed? You just work this through of letting go of the blockages that you stored inside of you. That's the highest technique because then the energy will go up and never go down, right? It just continuously flows up. Sometimes it's stronger than others, of course, but it's always feeding you and it will take care of itself. The Shakti always wants to go up and she will push out of her way whatever's in her way. The problem is we push back. We don't want to experience the garbage we stored inside of ourselves. But as far as techniques, pranayama, breathing, this, that, they're all wonderful. If I see anybody doing anything on a willful basis to not be listening to this garbage they stored inside themselves, I honor them and I respect them and I do anything I can to support the technique that person's doing. 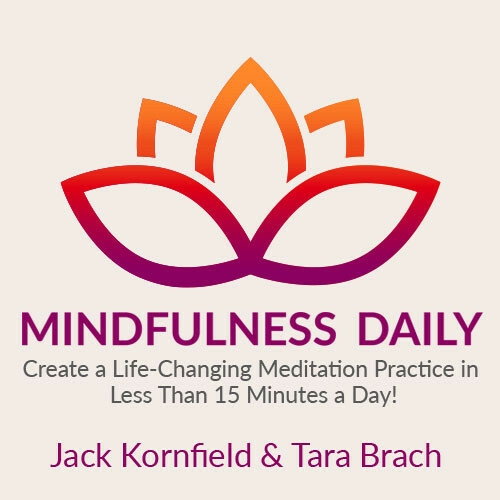 TS: Well, one of the things I want to highlight that you just said that I also picked up from the course with Sounds True is that you believe that surrendering is actually more powerful even than disciplined spiritual practices—that surrender is the most powerful practice. Is that true? Because that really got my attention, as someone who's done months and months and months of meditation retreats myself. I've thought, "Here's someone saying life itself, surrendering to life is an even more powerful practice." MS: It is. It is the highest state. When it's all said and done and you get to that edge where you feel energy pulling you in and you're approaching the high states, there's only one thing that's going to take you across and that's surrender. It's just the complete letting go of your will, of your concepts, of your views, of your practices, everything. It's just a melting into the absolute, melting into the higher. So that is, in the end, the highest state and everyone has taught that: Christ taught that, Buddha that that. They've all taught that is you need to just completely let go of yourself. Christ said you must die to be reborn. They're all the same teachings. The question is, what you asked is, OK, now, I'm not there. I'm not at that edge to fall in, right? Are you saying to me—I'm repeating the question you asked me. Are you saying to me, "Michael, that basically from the beginning even, that surrender is the highest technique?" And it is. It is. The problem is you're going to require those discipline techniques in order to surrender. If you're not meditating, if you're not doing the mantra, if you're not doing different things that keep you centered, then what's going to happen is somebody's going to say something, somebody's going to do something, a driver's going to be slow in front of you when you're in a rush, and all of that noise is going to come up inside and you're going to get lost in it. So the techniques, the discipline techniques are for you to achieve a center that is strong enough so that you can surrender. But surrender is the highest place. Letting go is the highest state. Once you learn to do that, it all takes care of itself, all by itself. TS: How might someone take a personal inventory or some way of examining, "Oh, these are the places in my life where I'm not surrendered?" MS: They come up automatically every day of your life. I always tell people, It's kind of nice. OK, you fell in love. You had a good meal. You went to a movie. You're just feeling better, OK? You're feeling somewhat better than you were. I beg you to pay attention to what takes you down, because that's where you're not surrendering. There are things that take you down, right? You love somebody. You're saying just the right thing, everything. All the sudden, they say one thing, or they blink at the wrong time or they sneeze when they're saying I love you—oh boy, it closes right away, doesn't it?" That is where your work is. In other words, you don't have to find where you're blocked. Your blockages come to you. They are what keep you blocked. So the question is are you willing to let go? Are you willing to, when you're driving your car in a rush to work and someone is driving 10 miles an hour below the speed limit in front of you, are you willing to realize that all the noise going on inside your head of dissing this person and saying this, that and the other thing, which they're not hearing you, is not doing a single thing? The cost-benefit analysis is 100 percent cost, zero benefit, yet you're still doing it. Are you willing to let that go? Once you get in the practice of letting go of yourself, the bigger things will come up. They'll all come up by themselves and you just keep letting go, and it will change so quickly. I get letters, emails from all over the world, people who read The Untethered Soul and people who've said that they really aren't all that spiritual and they weren't able to do practices before and they can't meditate, but they read that and they did what I just said. They let go when the driver was in front of them that was bothering them. They decided, "I'm going to let this go." I had a lady tell me, just wrote an email from South Korea or somewhere, and said that she didn't understand The Untethered Soul when she read it, but she read it, and that sometime later she was in a toy store and somebody cut in front of her. It was crowded. Somebody cut in front of her with all their kids and she started screaming and freaking out and she remembered the book daring her to let go and it was the first time in her life she let go. And she said from that moment forward, her life changed, period. It just changed, day after day, just kept letting go and she became happier and her marriage was better. It's the truth. If you don't hang out with that part of your being, nothing but good things happen. TS: OK, well, let's take some more concrete examples. You gave the example of driving in a car and getting stuck in traffic and I think people could relate to that and say, "Oh, that's a good place where I could let go of my aggravation, that's not helping." Let's say something happens in your life like a death of someone who you really cared about and you feel just terrible. Is that an indication that I haven't let go, or am I just grieving? MS: We are human. We live with a human and there are absolutely very natural feelings and expressions that match what's going on in our lives that's very different from a samskara, which means you're really just feeling the reaction of a past situation, right? If you love somebody and they die, there's a loss—there's a sense, a tremendous sense of loss. There's a whole rearrangement of the energy flow inside of you and it is naturally tremendously uncomfortable. Your heart hurts and you go through what you call a grieving process. This is fine. This is natural. The question is, are you willing to go through this or are you resisting it? The letting go in this case doesn't mean, "Oh, I should be happy and giggly." That's absurd. What you should do is realize—the question I always ask somebody if they come and say, "My heart hurts." I don't do one-on-one, but if somebody [says to me], "My heart hurts," I ask them the same question every time, "How do you know? How do you know you're doing terrible? How do you know your heart hurts? How do you know you're grieving? How do you know you feel this sense of loss?" "Because I'm in here." "OK, you who's in there is watching the heart go through these perturbations, go through these changes. Is that OK with you? Is it OK with you that this is the music that the heart is now playing?" The answer has to be yes. The letting go in this case is the letting go of the resistance to the natural experience that's taking place. TS: What do you think the obstacles are, the main obstacles people face in letting go? I'm sure you've worked with so many different people and seen where people get stuck. MS: The main obstacle is the unwillingness to experience what it feels like to go through withdrawal. What is the obstacle for a person getting off of hard drugs or getting off of alcohol? They could be very committed. They said, "I want to do it," right? But there is that tendency that you have habits, you have tendencies, and to let these go require a certain amount of commitment and a certain amount of strength, of center of will that I really am committed to this and then you go through this process of withdrawal, this process of purification. It isn't comfortable, but you have to want the result more than you're afraid of the discomfort. I always tell people, "It's not about whether you like something or not, it's a question of whether you can handle it." Don't ask yourself, "Do I like this or not?" Ask yourself, "Can I handle this? Can I handle this?" It's a rhetorical question, because you better be able to, because the alternative to be able to handle something is you can't handle it and I don't want to be around, nor do you, right? We talk about that center of will, that center of volition. You sit in there and realize, "I've got junk inside of me. I've developed patterns that are not healthy, just like drugs." I'm not saying you're doing drugs, right, but it's like a drug. It's like alcohol. You have these patterns of reactions that just got formed inside of you when you weren't paying attention and now you need to let them go. The obstacle is your unwillingness to go through what it takes to let it go. The moment you decide, "I want out. I want to let this go,—and there's two reasons to let it go. One is the non-negative, because it sure cause you a lot of trouble, all that noise in there and the other is the positive. Both are fine. I want to let it go, because I want to have a reasonable life. I want to let it go because I want to—I have one life to live and I want to experience the highest I can possibly experience. I want to explore the depth of my being. I want to know what Christ meant when he said, "My Father and I are one." I want to know where Buddha went with nirvana. Whatever level you feel the positive—and both of those, the inspiration of the non-negative and the inspiration of the positive should give you the drive, the inspiration, the intention that you need in order to say, "I'm letting go. I'm letting go." Because the alternative is absurd. The alternative is to give my life to the lowest part of my being. TS: Michael, do you ever find in your own life currently, things happen and you're like, "Oh, I'm getting dragged down into something. I'm losing this high place of center. I need to go meditate for a bit." Something like that, does something trigger you? MS: I told you, I don't see the big benefit. I've been doing this for a long time. I love to guide people and lead them. I don't see the great benefit of talking about those kinds of things. I'll do it abstractly and say is there a state in which that stops happening? Yes. Period. MS: If you let go, it's not going to happen. Things will come up, but you're so far away from it. Ram Dass used to say it was like standing under a bridge watching your life go by. The water underneath the bridge is not going to touch you. It's still flowing and it's going, so there are many, many different states. I like to defer to the masters, to perfect beings, the beings that reach the highest states, right? I don't want anybody looking at me. Look at them, right? Basically. But clearly, the personal self can be released and when it's released, you don't get triggered anymore. It doesn't mean something isn't going to hit something, but it's not anything near strong enough to even distract you from the pull that's going up. The pull that goes up is stronger at some point than any pull that could pull you down and the pull is so beautiful going up that you want to experience it. You want to fall into it. It's like love, the beauty. Why would you leave that in order to go down to the disturbing things? Then you just keep letting go. But it doesn't mean you don't deal with the things in your life. You just deal with them from a place of clarity and a place of center. I know you read my books. No matter how disturbing something can be, you still have to deal with it, right? But you don't have to resist it. You don't have to leave the seat of self in order to deal with something. You can do it from the seat of self, and you're always better off doing that. TS: You spoke of the masters, that we can look to them, and the filming of this eight-week course, Living From a Place of Surrender, occurred in the yoga and meditation center that you've established now for several decades, Temple of the Universe. I'm curious what you see as the role of devotion, devotion to the masters on the spiritual journey? MS: That's, again, a very deep question, but all of us have a different nature. Some people are more heart-oriented. Some people are more mind-oriented, and so I don't push those things either, right? When I talk about someone like Christ or Buddha or Yogananda or some of these great, great masters—Ramakrishna—that reached these very, very high states. It's like hanging a picture or putting a bust of Beethoven on your piano if you're a pianist, all right? It's sort of like these beings inspire me. They have reached great states. I've read about them. I can feel their energy and therefore, they're great teachers for me. They are great lights and inspiration. Can it create devotion to where you literally feel love? To me, if it does, it's because you're really loving the state that you're longing to reach, you're loving the energy level, all right, as opposed to loving a person or loving a being. But different people are different ways. Some people are very much into the personal aspects of God and that's beautiful too. Does that answer you? But I don't push emotion. I don't ever talk about it. What I push is openness. If you will open and you will let go of what's closing you, you won't have to talk to me or anybody else. It will all happen inside of you. You are your own book. It will take you as quick as possible; if you will let go of every single thing that's keeping you down, you will go—this is how I always tell it. Let's say you have a gondola with a hot air balloon on it, right? It's "tethered" to the ground with the ropes, correct? If you want to go up, don't put more hot air in the balloon or more things that will lift it up. Basically, untie the tethers and it will naturally go up, the helium, right? The helium or the hot air will lift it up. The right thing to do is not worry about going up, just let go of what's holding you down. And if you will let go of those tethers, believe me, your whole being will go up naturally, exactly at the pace that it should. Everything will unfold perfectly, but you have to be willing to let go of what's holding you down. TS: Now, which I asked you the question, "How do I know what's holding me down?" you said, "Look at your life and see what brings you down, what exchanges with people, what events," and you have a couple of examples: being in the car, in traffic, etc. And I immediately thought it doesn't take much often for something my partner with say—something like "Would you mind doing this a different way than the way you just did it?" or something like that, I'll interpret it as critical and I'll feel grumpy for a bit. My question, everybody has their own thing where they can watch in an interaction where their energy goes down. Maybe it's something at work and they receive critical feedback or something like that and they're like, "Yes, that will ruin my day." What do you suggest I do in those experiences such that I'm living from a place of surrender? I'm triggered, I'm upset, I'm irritated, something like that? MS: Right now, we're talking about where the tires hit the road. That is where the growth is. I know you would like to be able to achieve a state at some point in your life to where if somebody criticizes you, you sit and listen to see if there's something you should be learning from it, as opposed to getting upset or closing or getting defensive, right? You picked a perfect example, because defensiveness is the nature of ego. That's what it's going to do. It's going to get defensive, period. What it means is, are you willing to let go of that part of you so that you're able to listen without that reaction? Is it going to happen right away? Of course not, just like you didn't learn to play tennis right away. You don't learn to play the piano right away. That's one of the things I find with people. They somehow think, "Well, I tried it once. It didn't work." That's hilarious, right? If you sit down to play the piano, you have to play scales first, and you're not going to do really well at those either. You have to stay with it, if you want to be good at it. It's the exact same thing here. If you meditate and you come out of mediation and then somebody criticizes you, you were doing well, for just one moment more, are you willing to breathe through it? Are you willing to let it go? Sometimes you need to use your mind to raise your mind. You need to treat it like a little baby, to say, "It's OK. It's OK if somebody criticizes you. You can handle it." You're still using your mind. That's better than giving in to the lower mind, and you raise yourself. You just keep raising yourself like you'd raise a child. If you will do this on a regular basis, someday you will notice the somebody comes and criticizes you and you say, "Thank you." There is no reaction. I love it when someone comes to me and says, "The most amazing thing isn't a spiritual experience that I had. It's that I found myself in a situation that two years ago, I would've reacted. Not only was there no reaction, I forgot that there used to be. I only looked back later and said, ‘Oh my god, look at that. Nothing happened.'" That's spiritual growth. That transformation is spiritual grown, not these lights and spiritual experiences people have. They just last for a minute, then you come back down. I want something real. I want people to change, to grow, to become great within their own being. Does that answer you? TS: We're almost at a full answer, but I still have a little bit that's unclear for me that I want to see if I understand. So I notice that I'm triggered, and being criticized is something that would trigger me, so we can keep going with that. It probably would trigger lots of people depending, or being unfairly accused of something in front of others, things like that, that would. OK, so now I feel this agitation in my body and maybe some heat and maybe even anger or something like that and I'm starting to think of the snippy comment I'm going to make to cut the other person down, something like that. What you're recommending is that I somehow connect back to my breathing. You said expand your meditation practice or stay with it for another second or two and just let it go. I think it's the "just let it go" part that I'm looking for a little further explanation of. MS: I understand. That's like my saying I want to play the piano, I want to play Beethoven, I want to play Beethoven's pieces, but I don't play the piano, and so I just said, "Do you play your scales?" And you just said to me, "You're saying to me play my scales and all of the sudden, I'll be able to play Beethoven." Well, that's not exactly what I said. I said, "Play your scales until you're good enough with your scales and then the next thing will happen, the next piece will happen, then the next piece will happen." So if criticism creates reaction inside—which of course it does, like you said, most people, then are you willing—Ram Dass used to say, "Use it to go to God." I always loved that. I keep that with me. Are you willing to say, "Hey, I bothered meditating. You told me all these intense practices you did: fasting, you've read all the stuff I used to do, right?" Here it is. Here's a moment where the very thing that is keeping you from the ascent has shown its face to you. Are you willing to use that for your spiritual growth? That has to be deep, deep inside. Then the answer is, "Yes, of course I am." OK, then you need to bring these energies up. What happened there when you got hot and the energy got hot and the breath went faster, and the snippy comments, is that basically that it hit a blockage. It hit a blockage, expanded out. Basically, what your willingness to do is to say, "I can stay centered in the midst of that blockage and I can relax." The key is relaxing. You're right, we didn't talk about that—I guess "letting go," those are just words. The key is can I relax in the face of the reaction. When people come to me and say, "Well, the anger won't relax." Well, of course not. Anger doesn't know how to relax, defensiveness doesn't know how to relax, but you who's experiencing. I loved—you obviously were talking to me from a place of witness consciousness, because you described to me what it felt like to have that reaction. That meant you were there noticing it. You who notices it wants to do something about it to make it stop. That's why you have these snippy comments. That's why you attack or whatever or run away or whatever it is, right? Fight or flight, right? No, what you need to do about it is relax. If you are relaxed instead, you gave it some space to release. So you're absolutely right. It is not breathe and let go. That doesn't mean anything. Breathe means something, but let go, those are just words. They don't mean a single thing. What it means is catch your breath for a moment, make a commitment: "I want to use this to go to God. I want to use this for my spiritual growth. I want to use this to liberate myself from my self," all right? There, now you have your intention. Now, I'm asking you to relax. It's not easy. You'll see the energy tries to pull you into it, right? That's what it's trying to do, right? It tries to pull you in get you to feed the reaction. Instead you relax, and just the very act of relaxing leaves some space for a little bit of it to pass through. The more you're relax, the more you lean away from the energy that's making all the noise, the more space you leave. That's a very, very, deep spiritual practice, to relax and release. I call it R & R, to relax and release everything, all the time, right? First, let go. That's what I mean by let go. Relax and release. Now deal with the situation. Don't deal with your reaction, all right? Does that help? TS: That helped a lot. I feel very satisfied with that answer, Michael, so thank you. Now, in the course, Living from a Place of Surrender, you give people what sounds like a pretty simple instruction and you say that this is one of the best ways to really get started with living from a place of surrender, which is to start surrendering to the weather. This practice will actually take you very far. I was wondering if you could share that with our listeners as something that will be helpful to them, I think. MS: Well, I talk about low-hanging fruit. The course goes into all of this in great detail. I want to thank you, by the way, for doing that course with me, because I teach. I've been teaching for 45 years, but to be able to have the time—that's what I got with that course. We had the time to do eight sessions, ten hours that I could go fully into—like the explanation I just gave you, took a little more time, right? I felt very fulfilled in doing that course, that for the first time in all my teaching, I was able to have the time to go deep and create that clarity, so I really appreciate that. By the way, I want to tell you your people were wonderful to work with. I was very, very pleased with the professionalism and the quality of the people I got to work with at Sounds True. That said, so go back to your question. What I was talking about was low-hanging fruit. That's why I used weather. What is low-hanging fruit? What does it mean? The ones that are easier to let go of. I define it as this: the cost of not letting go is you're disturbed. The benefit of not letting go is zero. You're not gaining anything, so why wouldn't I let go? Those are easy ones. For example, let's say it's raining. If it's raining, it's raining. You not liking it raining is a 100percent cause, 0percent benefit, right or wrong. You're not getting anything from not liking it raining. TS: You are correct, yes. MS: It's going to rain anyway, so right? Why not like it? It's a silly—if I put food in front of you and one of them would make you feel good and the other would make you feel bad, which one would you take? Every single time, you would take the one that makes you feel good, as long as there's no cost involved, right? They're both equal. Well, the weather is the weather. You can either like or not like it, and if you like it, it's fun and if you don't like it, it's not. You did that; the weather didn't do that. That's the epitome of how you start to work with yourself. There's no reason not to like the wind. There's no reason not to like the rain. There's no reason not to like the heat. There's no reason not to like the cold. They're just things you decided to do that are making you miserable, all right? You just decided, "I'm not the kind of person that likes the cold." All right, change it. Let go. Say, "I love the cold. It's fun! I like to bundle up. I love it." Change the way you're looking at things, and that act of willfully letting go of the negativity is a very positive thing to do. As you learn to do that, those are like your scales; as you learn to do that, all of the sudden you'll find that when somebody criticizes you, you're better off at being able to relax and release because you were able to do it with the cold weather, with the rain, and so on. They're like practice fields. Every day, you have the opportunity to practice raising yourself. TS: Well, I'm very happy that you shared with everyone this example that you call low-hanging fruit, but before we end our conversation, I want to get into something that I think is quite difficult for many people. As part of the course, you've included a bonus teaching on spiritual activism— "The Path of Accepting and Serving Reality," that's what you called the teaching. I think for many people, this is a place where surrendering and accepting is quite hard, when they look out at the world and whether it's a question of civil liberties or whether it has to do with global climate change, there's this sense of, "I'm going to listen to Michael in a lot of ways, but when it comes to the state of the world, I need to be an engaged activist here. I'm not sure." Can you address that for our listeners? MS: It's obviously a very deep question, which is why I gave a whole teaching on it, and by the time they're done watching this course, they will absolutely understand. I do touch that during the course. What it boils down to is—I'll use an example. I'm an environmentalist and I'm very much into cars that get high mileage and don't pollute, and I see that somebody's driving a Hummer. It's a classic example, somebody's driving a Hummer, and I'm radicalized and I blow it up. Well, you have just caused more damage to the environment blowing up that Hummer than any pollution it will ever cause by its burning gas. Do you understand that? What you did is you reacted to your own anger, your own inability to handle a situation. What do you mean? There are people who don't care about the environment. There are people who don't care about the gas mileage they get. There are people who don't care about a lot of different things that you care about, all right? When it came in, when that event came into you, it hit your stuff. And what came up was not clarity, was not a constructive reaction. What came up was anger, what came up was fear, what came up was hatred, right? What came up inside of you is hate and you expressed it, right? That is not proper activism. Proper activism altogether, which is spiritual activism, is you first let go of your own reaction; you let go of the personal part of your being that is reacting because of the personal part of another person's being, because all that creates is war. So you let it go. Now, you are faced with clarity that I care about—I didn't stop caring about the environment. I just stopped reacting in a way that was destructive, in a way that was not constructive and was just a personal reaction that made me feel—why'd you blow up that Hummer? It made me feel better. Well, that's not what this is about, making you feel better. This is about purifying and helping the environment. So you start letting go of this part of you, the same part we've talked about in the entire conversation. You let it go. Don't justify this righteous anger. There's no such thing. You let it go. Now you're clear. The one who's clear will see solutions. They may be small steps, but at least they're steps in the right direction. Maybe there's nothing you can do about the fact that something's happening on the other side of the world that is not right and not comfortable, right? But there is something you can do within your family. There is something you can do within your workplace to bring love and bring caring, and that spreads and maybe that's all you can do right now. My experience is, you do that instead of getting all upset about something that's happening that you can't do anything—it's not anything you can do anything right now at this moment, and therefore, your upsetness brings into your family and brings into your workplace and you're polluting the environment. You're not helping anything. You think you are, because it makes you feel better to be upset, but you're not. So you let go of that, you do the best you can to bring love, peace, joy, purity into the environment that you have any control over, and my experience is if you do that, then all of the sudden, a bigger thing comes your way and the next thing you know, you're able to deal with things that are bigger than just your local environment, because you're a leader, you're somebody who deserves to lead, all right? Therefore, the universe unfolds in a way that puts you in a position of leadership. You know that's my experience, because you read The Surrender Experiment, but that's what I call spiritual activism. It is not that you're not dealing with things. You're just not dealing with yourself, because you can't handle the things, which is what many of the radical activists are doing. They're just basically saying, "I can't handle this, so I'm going to throw up all over the place." It doesn't help. That doesn't mean you don't serve. It doesn't mean you don't help, but you do it from a place of clarity and you do it within the frame of what you're capable of working with. Like I said, that leads to the next, which leads to the next. TS: You said something interesting. You said there's no place for righteous anger, and I think a lot of people think that that is useful somehow, that that's drawing a boundary or something like that. MS: In the end, anger is anger, and it's coming from a personal place, and what it's going to do is create more anger on the other side. There is a place—blessed are the peacemakers. There is a place in which you are centered, you are clear, you have finished your stuff, so when you are now interacting with the environment, with prejudiced people, with whatever it is, you are coming from a place of clarity—you are not fueling the opposites. You understand that? Opposites attract the opposites. You're a Taoist. You have created this balance within yourself. I always say the highest being who is most capable of solving the problems of this world is the one that can be at peace with every single thing that comes into them. If you can't be at peace with the different sides of the battle inside yourself, how can you expect the outside world, as complex as it is, to come to peace? You have to prove that all these different views and all these different opinions and all these different types of people fit in a place of love and peace, and caring, compassion inside of you. That doesn't mean you don't act. The perfect example of what I'm talking about is the Dalai Lama, is it not? I mean, he's not working with righteous anger. And King, and then Gandhi—these are the spiritual activists and they brought about tremendous change, but they did it not by taking the personal part of their being that was upset by what's happening and dumping that out into the world to create more pollution. They purified it within themselves, then they came into the world and worked with these things. It is my experience personally that if you do that, that somehow the universe then brings you bigger things, because blessed are the peacemakers. You're doing it properly and all of the sudden, you're able to teach—you're able to bring about harmony in bigger and bigger places. Anyways, there [are] entire movements in the activist community that are doing exactly this. When they sit there and say that wrongs were done and we bring together the perpetrator with the victim and we let them meet each other and try to create bridges that come across here instead of punishing and hating—that's doing what I'm talking about. I know many people that are all over the world that are mediating and doing these sort of things instead of coming from a place of righteous anger. TS: Now, Michael, just in conclusion, you've created this new 10-hour video teaching, Living from a Place of Surrender. It's an eight-week online course that begins on October 30th, and I'm curious to kno—you've shared a little bit that you were so glad that you had a chance to unpack and deliver many of these teachings in an unrushed way, but my question is what was your motivation for creating this teaching program? MS: I've always stayed, just as life has done it to me—I have done many business things, but my spiritual life, I stayed at the temple. I moved out here in 1971 and I've not left, all right? People come out. They come around me. They come out here and I teach, but I haven't—I don't travel. I don't go out and give lectures all over the place. I don't do social media and I haven't done—this is the only course I've ever done, and the only interview I ever did was Oprah's, pretty much. That's just my lifestyle. People have always asked me, would I broadcast podcasts from the temple, and we don't. I don't want to bring that energy in. So this was a tremendous opportunity to archive the teachings, to just absolutely put them down so that whoever wants them can get them. They're available across the Web, and they will be there forever, all right? Basically, that was the motivation. It worked profitably with Sounds True and y'all did a wonderful job, so I couldn't be more pleased and more satisfied. It feels very whole, what's happened here. TS: I likewise feel a real sense of fulfillment and happiness, Michael. Michael Singer has created a new eight-week online course called Living from a Place of Surrender: The Untethered Soul in Action. It begins on October 30th and you can come to SoundsTrue.com for more information about that. Michael, thank you so much for being a guest on Insights at the Edge and I have to say you've really inspired me. Thank you. MS: Well, thank you so much, Tami. It was such a pleasure to talk to you.